In partnership with Girls Inc. of New York City, the Elsevier Foundation is pleased to announce the launch of a new curriculum that will prepare low-income and underserved girls to study data analytics in high school. The development of the Pre-G3: The Elsevier Foundation Data Analytics Preparatory Program for Girls will help the girl-serving organization increase high school enrollment numbers for data analytics courses by improving their core skills and confidence in their ability to comprehend the lessons and succeed in the coursework. “Partnering with the Elsevier Foundation is very exciting, especially since Elsevier is a blue-chip name in the sciences, where I’ve spent much of my professional life,” said Dr. Pamela Maraldo, CEO of Girls Inc. of New York City. “Their support will enable us to create a unique platform for girls who need a remedial boost to pursue a desire to go into a STEM–science, technology, engineering and math–field. 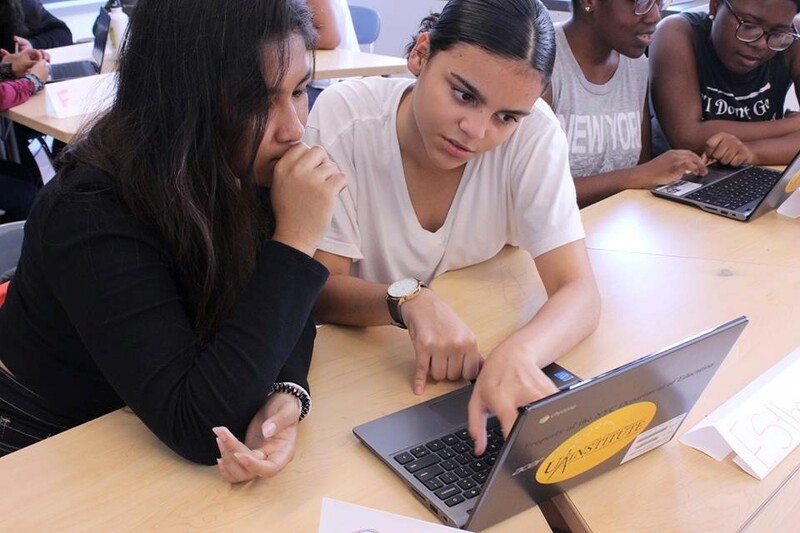 Over the past four years, Girls Inc. of New York City has introduced hundreds of 10-12 high school grade girls to the field of data analytics through Generation Giga Girls (G3): The Moody’s Data Analytics Program, but the demand for a more culturally responsive program, serving more girls at an even earlier age is at an all-time high. Low-income and underserved girls often lack the basic skills required to thrive in intensive programs like G3. The Pre-G3 program now offers them tangible skills, with a strong mentoring approach at a lower developmental level, to prepare them for the concepts they will encounter in the high school program. Girls Inc. of New York City inspires New York City girls to be strong, smart, and bold through direct service and advocacy. Our comprehensive approach to whole girl development equips girls to navigate gender, economic, and social barriers and grow up healthy, educated, and independent. These positive outcomes are achieved through three core elements: people - trained staff and volunteers who build lasting, mentoring relationships; environment - girls-only, physically and emotionally safe, where there is a sisterhood of support, high expectations, and mutual respect; and programming - research-based, hands-on and minds-on, age-appropriate, meeting the needs of today’s girls. girlsincnyc.org.